Calling all knitters... 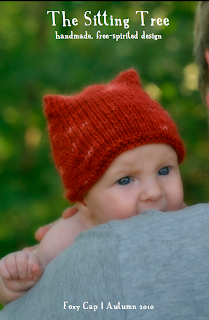 I've finished all of the children's sizes for the foxy hat knitting pattern, and need four talented knitters to try out each of the sizes; newborn, baby, toddler, and child. The catch?? I need them to be kept top secret & completed by next Wednesday, November 24th. If you're up for the challenge, please contact me at sittingtree@frontier.com and let me know what size you'd like to try. It will be on a first come, first served basis so don't delay~ (and thanks so much, I really appreciate this!) If all goes well, I'll have it for sale on Etsy and Ravelry by next Friday! Thank you so much to all my fantastically generous pattern testers! 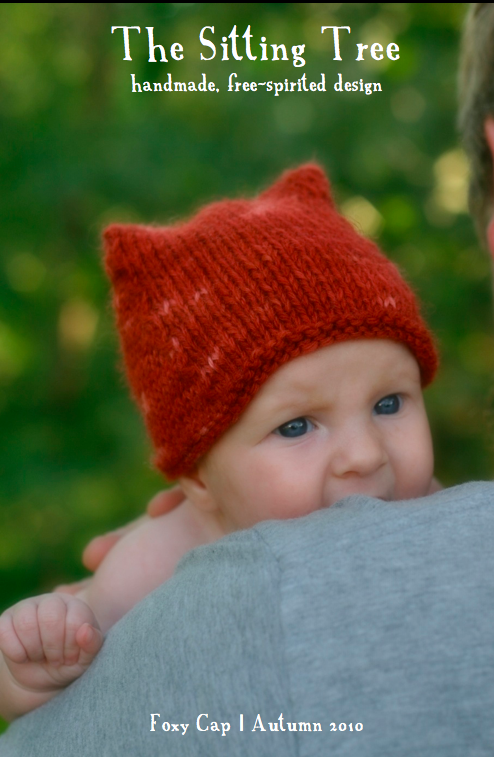 The hats all turned out perfect and you can now find the pattern for sale on my shop or ravelry! "I just want to mention that never before have I ever done a gauge where I was *exactly* right on. It was like I wrote the pattern. That made everything super easy, so w00t!!" "I want to tell you that I am a fan of pointed pixie hats, but my husband believes now that all hats should have ears." "It's a nifty idea, I've never knit a hat up and over the top. The measurements worked out great."